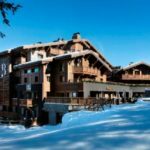 At the foot of the famous Bellecôte run, a stone’s throw from the centre of Courchevel and its luxury boutiques, the Hôtel Barrière Les Neiges enjoys an exceptional position, with 42 slopeside Bedrooms, Suites and Penthouses. This winter, Courchevel has experienced exceptional snowfall with over 7 metres of accumulated snow, an amount not seen since the winter of 1980. And there’s still a month in which to enjoy the warm, welcoming setting of the Hôtel Barrière Les Neiges and the range of activities that Courchevel has to offer. With over 3 metres of accumulated snowfall at the top of the ski runs and a sunny forecast, spring skiing is exceptional this year. Take advantage of extended ski days from 9am to 5pm in the world’s largest ski area. It’s also a wonderful opportunity to discover a different side to Courchevel: dog-sledding excursions, snowmobile rides, afternoons spent outside relaxing on one of the resort’s many sunny terraces…. The Clés d’Or concierge service is on hand to design tailor-made experiences, so let them surprise you. Will you choose the thrills of heliskiing or the beauty of a torch-lit descent? 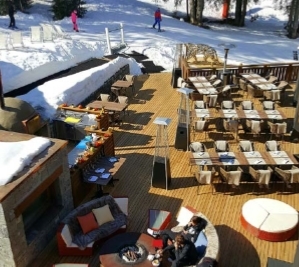 Lunch on the slopes facing Mont Blanc, or a trip in a hot air balloon? From the 28th of March until the 2nd of April, Hôtel Barrière Les Neiges will be celebrating Easter with decorations inspired by the natural world. Children will love the baby rabbits nestled in springtime scenes in the lobby. Every experience lets you discover Courchevel and Les 3 Vallées in a new light, built solely around you.